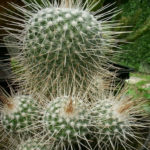 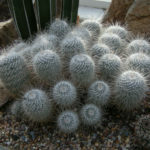 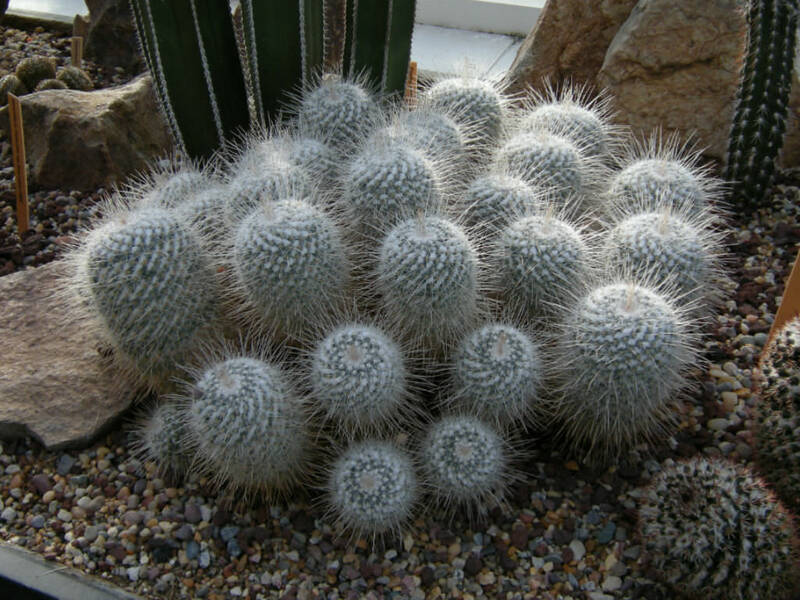 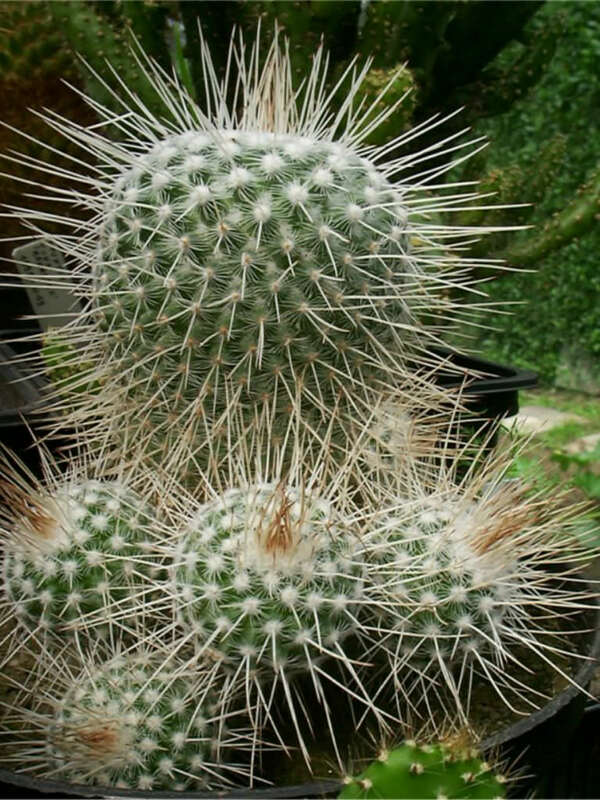 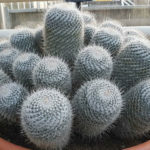 Mammillaria geminispina is a globular cactus, forming a mound of clustered stems up to 8 inches (20 cm) tall, with white radial and longer brown central spines. Long-lasting rings of pinkish to carmine red flowers provide beautiful contrast to white, woolly body. 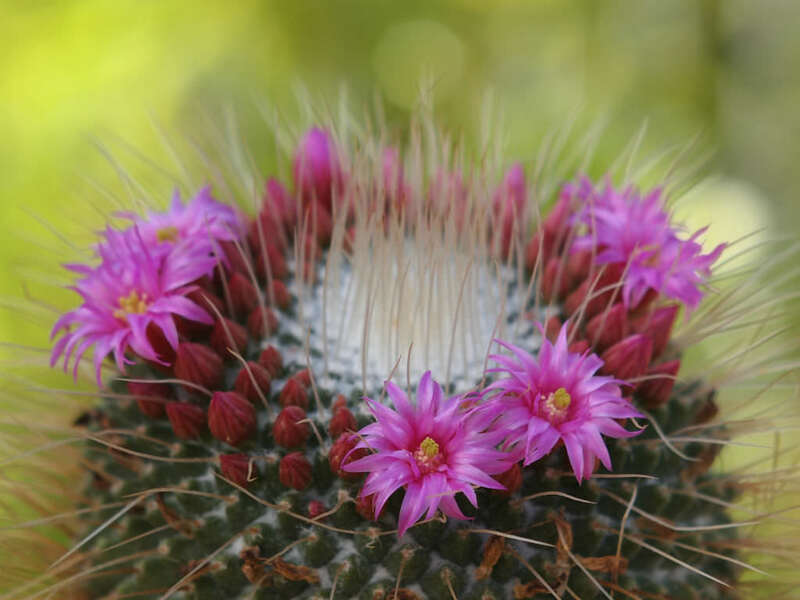 The flowers are up to 0.6 inch (1.5 cm) in diameter. 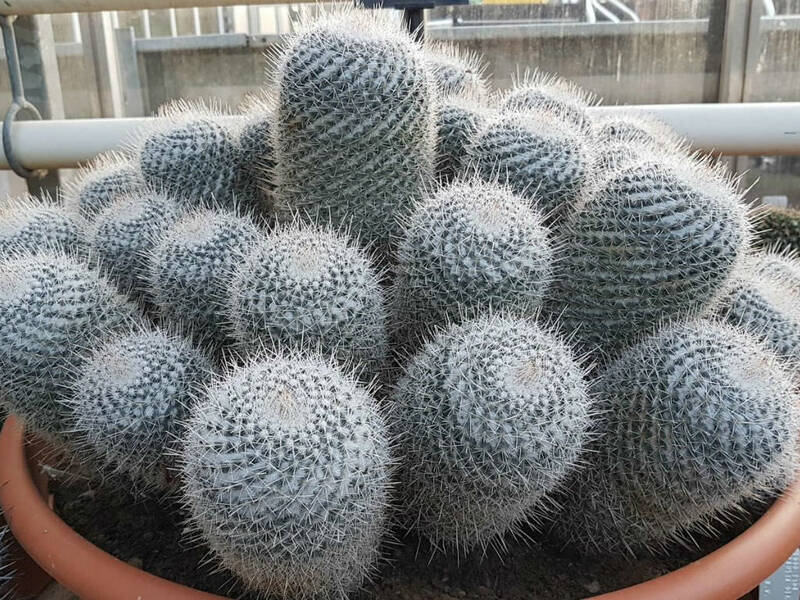 It can take 7 to 8 years before flowering.